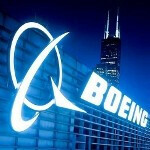 What is the first thing that comes to mind when you think of Boeing? Certainly smartphones would not be near the top of the list, but that is about to change. According to National Defense Magazine, the Seattle based aerospace firm is working on a super-secure Android handset which it expects to launch sometime before the end of the year. Boeing president Roger Krone did not reveal the specs of the device or a specific release date, but he did say that the Boeing Phone (for lack of a better name for now) is almost finished with its development cycle. Obviously this is not going to be a model that you will be able to buy from your local carrier with a 2-year contract. Super-secure communication equipment often runs into the five-figure price range, but by using a open source OS, Boeing will be able to enter this market with a much lower cost to buyers. And just who purchases such a device? Consider the Defense Department and multi-national corporations as among interested parties. Cost wasn't the only reason why Boeing choose to go with the Android OS. Krone said that by going with Google's open source OS, users of the Boeing Phone will be seeing the same platform on the handset they use for business as the one on their personal phone. The discontinued Dell Streak 5 was the first Android model approved for use by the Department of Defense. Boeing has a much tighter relationship with the military than Dell ever did so it should be interesting to see what features Boeing has built into an Android phone designed for secrecy. This might be the final blow to RIM. Yup. The feds have been seeing the hand-writing on the wall, and are not about to be left high and dry by RIM's problems. Boeing is a well-established contractor to the feds, and a secure Android handset is certainly within their capability (Boeing Computer Services). Buh-bye, RIM. I don't think this phone is going to be available for carriers for consumers. So RIM. Is nit affected. It probably will be as RIM's justbarely holding on in the consumer market and its defense contracts are about all it has left. It would be a variation on the BES architecture, just being implemented on an Android handset that has been hardened (minimum encryption strength of AES-256 to and from the handset for voice and data). But, this will be a handset that is limited in distribution to federal government employees. The impact on RIM is that they will be losing one of their anchor customers the moment Boeing starts to ship the secure handset. All I can say is that both my parents work for boeing and have gotten letters stating that their SS number was taken and that they should be on the look out for fraud. This has happened 3 times now. I wouldn't exactly trust Boeing on this one. Just to clarify two times were stolen laptops and one time was when someone hacked into their servers. Boeing won't be hosting the servers that are the back end for the secure handset. Servers will more likely be operated under auspices of NSA (either directly or indirectly). "super secure" and its an "android phone".. joke of the year! They use it because of its ability to be customized for security, not because it is inherently secure. @phonton You are the troll here fool. I see Android kinda of like ceramics. At first people thought it was best left to cheap vases and pottery... fast forward some and people are starting to realize just how many amazing uses it has. Bit of a troll moment here: iOS would be like silver. It's shiny and pretty, and people assign mystical properties to it... but, while it's malleable under the right conditions it's just too rigid making it subject to cracking. Heck they need to get caught up on all their dang back orders on their planes first. That and get all the bugs out of them as well. Don't get me wrong I much prefer Boeing over Airbus but if they don't get their act together Airbus is gonna put a hurting on Boeing. Wonder if their phone will be the Boeing 797 Super Secure? SWEET! Something I can finally get an employee discount on!